The partnership aims to help local youth and young adults gain the necessary tools for employment. 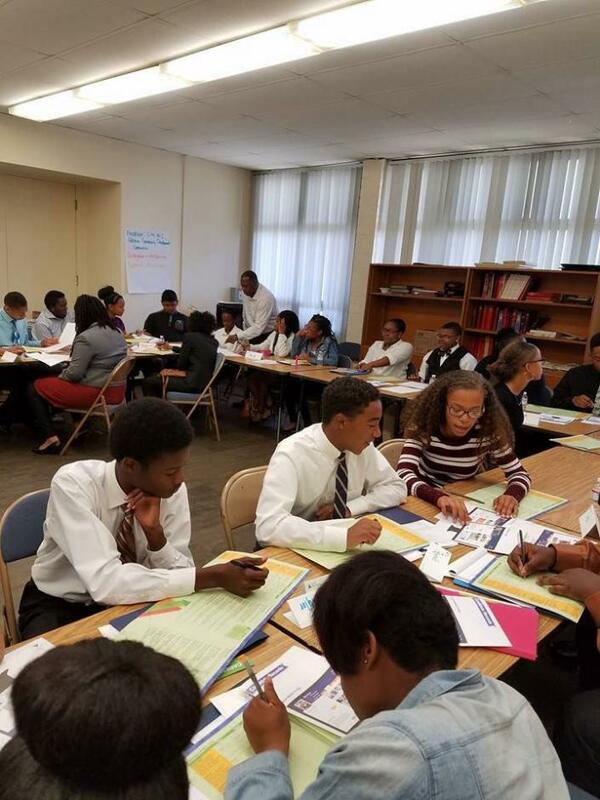 LOS ANGELES - Feb. 8, 2018 - PRLog -- Holman Community Development Corporation and Crenshaw High School this week announced it has entered into a strategic partnership, offering a 10-week pre-employment program to the schools more than 700 qualified youth. The Pre-Employment Workshop Series, set to begin in April 2018, is a mandatory step in participation in Holman's Jobs for Kids Youth Employment program. 'We are excited to partner with Crenshaw High School in this effort," says Nancy Harris, Executive Director at Holman CDC. "We believe success begins with preparation and this partnership will offer the students at Crenshaw High School the leading edge in securing the necessary opportunities that can change their lives." The Pre-Employment Program, opened to youth ages 14 -18, is designed to prepare youth for their future by obtaining valuable vocational skills and gain an appreciation for the connection between work and classroom learning. The program will allow youth to build a strong foundation of workplace competencies and discipline, develop a sense of pride, self -respect and acquire life-long skills. Attendees will also practice interviewing with professional mentors who will provide tips and wisdom, resume writing, customer services skills and more. Attendance at all 10 sessions is mandatory. Crenshaw High School, a full residential magnet school serves the students with three Magnet programs - STEMM (Science Technology Engineering Math Magnet), BET (Business Entrepreneurship Technology) and VAPA (Visual and Performing Arts). Crenshaw offers College Preparatory Classes and electives that align with each magnet. School Principal, Mr. L R. Corley, has embraced the mission that "Every Cougar, is College Bound" and desires to empower all Crenshaw students with the college and career ready skills necessary to become productive citizens of a global society. His innovative approach is set to help the school become a national model of collaboration among teachers, parents, administrators, and the community dedicated to maximizing the educational, social emotional development and civic engagement of its students. For more information on this program, contact Nancy Harris at holmancdc@holmanumc.com or 323-731-0140.